We’re in the home stretch of the year and you’re probably thinking it’s too late to have any home based business success during the holidays. People are probably too busy and they won’t be interested in joining any kind of home based business, right??!! WRONG!!!!! The top earner in my network marketing company joined the business on December 27, and I can’t tell you how many other top earners that I’ve heard about who also joined during this last month of the year. The truth of the matter is that people are worried right now about how they’re going to pay for the holidays and they’re also dreaming of a way to make some extra cash. This may be the best time to recruit team members for your mlm, direct sales, or affiliate team. And, that leads to home based business success now and into next year. December is the best month to take some quiet time and write down your goals for the new year. How much do you want to make next year? Once you decide that, break it down monthly, weekly, and daily so it doesn’t seem like a huge number and is attainable. Then, figure out what that means for your particular business. How many people do you need to recruit? What volume do you need to have? If you don’t know the answers, talk to your upline or your corporate help desk to ask for help. Amateurs quit during the holidays. They stop their autoship so they can afford to buy the Christmas gifts that they can’t really afford anyway and they have the attitude that nothing happens in the month of December. Leaders, on the other hand, are just as active (if not more) during the month of December, as any other month, because they realize that if they want to have a good January of 2016, they have to do the work now to produce results then. So, what’s it going to be for you? Are you an amateur or a leader? Will you keep pursuing your dreams when everyone else isn’t or are you in the 97% of people who never succeed in their home based business? 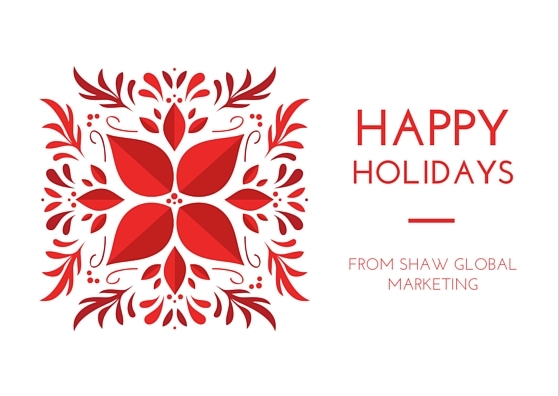 I wish for you a very happy holiday season. Merry Christmas!! Happy Chanukah! Happy Kwanzaa! Whatever it is that you celebrate during the month of December, may you get everything you wish for!! P.P.S. If you enjoyed this post on Home Based Business Success and the Holidays, comment and share, please! Great post Jan! You have clearly articulated why the month of December really is the best time to be making money and recruiting reps into your business. Thanks Lisa! Glad you got value from it!